Rev 2A. This author has been investigating satellite weapons and the global microwave torture of thousands of people, since January 2016. This ebook contains some of my latest research into Targeted Individuals. 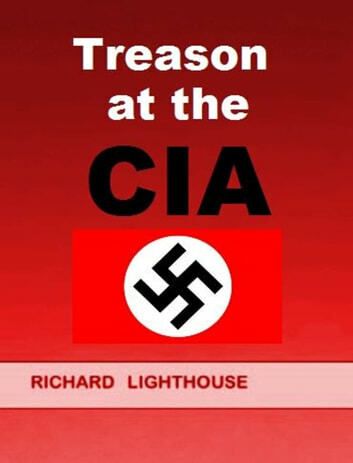 The CIA is operating a program against its own civilians and top government officials that is nothing less than TREASON. They are attempting to control top government people using a subliminal messaging technology, including the legislative, executive, and judicial branches. This includes the President and White House cabinet. The technology is not 100% effective, but it works well enough to alter behavior after many months of microwave targeting with subliminal messages. I have referenced a number of credible sources including, Dr Barrie Trower, a retired British intelligence agent; Dr John Hall, M.D. In San Antonio; and Dr Katherine Horton, an Oxford scientist. Their videos are available on youtube. 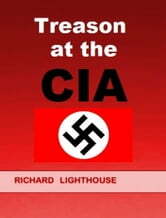 This follows the documented TREASON by the CIA in Michael Springmann's new book. Satellite frequencies are being used in a subliminal messaging program against Targeted Individuals and their family members, in an attempt to control their behavior. The microwave and RF technology to alter behavior has been well-documented in U.S. Government patents. I have previously documented the frequencies as follows: Tracking and geolocation: approx. 3600 MHz to 3750 Mhz, and the carrier frequency for the subliminal messaging and harm signals has been measured at 3921 MHz – 3934 MHz. The subliminal messaging is repeated thousands of times each night on the target, until the negative messages “stick.” These messages can be simple - “Your husband is crazy,” or “You hate him.” Recall that CIA Doctor Ewen Cameron used these subliminal techniques to turn an ordinary person into a vicious serial killer – the real Manchurian Candidate, as part of the CIA's MK-Ultra program. According to Dr Paul Batcho,former DARPA scientist, the frequencies that directly affect the brain for subliminal messaging are in the range of 450 MHz. (BiggerThanSnowden.com) It is possible to block these frequencies by jamming the carrier frequency at 3921 MHz.